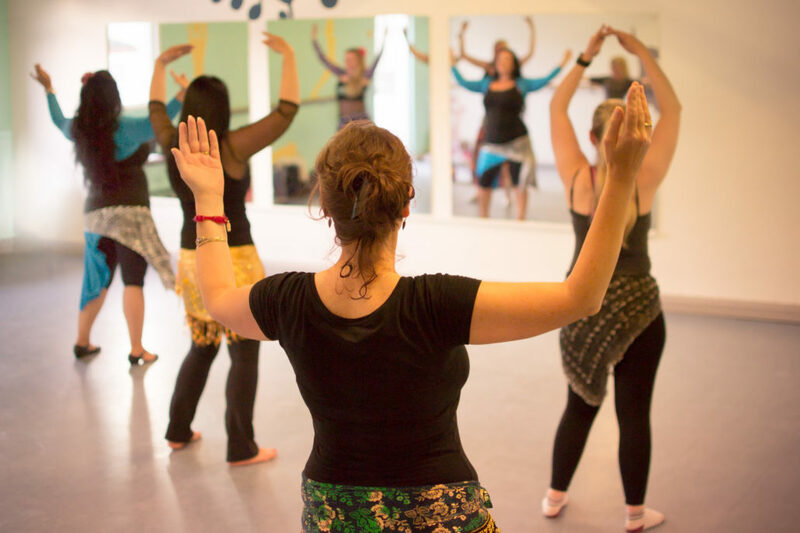 7.15-8pm Belly Dance Essentials Perfect for beginners or established students. Practice the core moves of Egyptian belly dance, learn combinations, try props and learn simple choreographies. An upper intermediate level class, learning more complex choreographies and combinations, mastering props and developing your inner performer. All Chloe’s classes are drop in and pay-as-you-go. So you can just turn up on the day and join in! What’s your upper age limit? None! We have all ages in our classes – from youngsters in their 20s through to women in their 70s and above! What’s your lower age limit? Chloe is happy to welcome girls from 11 upwards in her classes, but if you are under 16 then she would prefer you come with an adult. Indeed, bellydance is a wonderful mother/daughter bonding activity. I’m overweight, does that matter? Absolutely not! 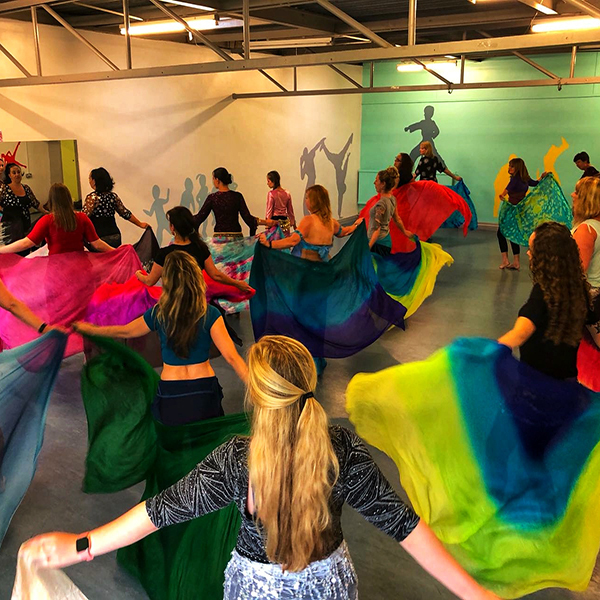 One of the most wonderful things about bellydance is that you don’t have to be young and skinny – it’s perfect for all figures and some of the best dancers are the largest. 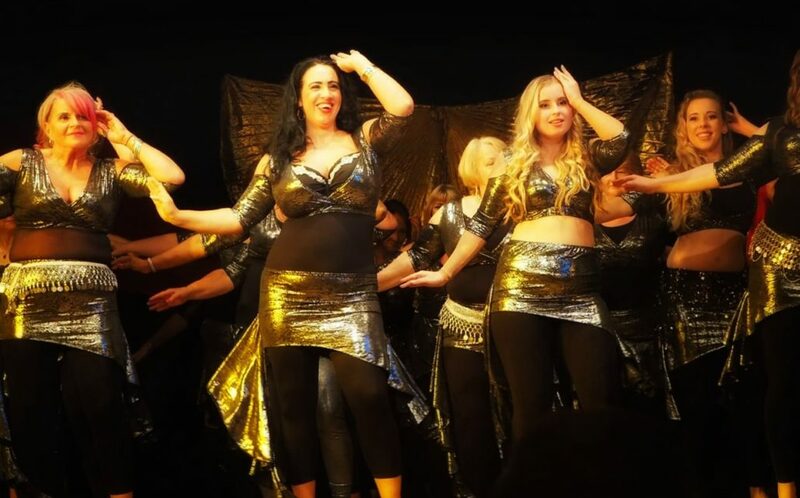 But if you are slender then bellydance is beautiful on you too – bellydance is for all women, whatever your shape, size or age. Yes, these classes are women-only. If you are a man wanting to learn to bellydance, our South Croydon classes accept male students. I can’t make every class, will that matter? Not at all – our classes are drop in, pay as you go. You can join any time and it doesn’t matter if you can’t come every week. And you don’t have to worry about being new, new people are starting the beginners classes all the time and the atmosphere is very supportive and welcoming. I’m pregnant. Is it safe to bellydance? 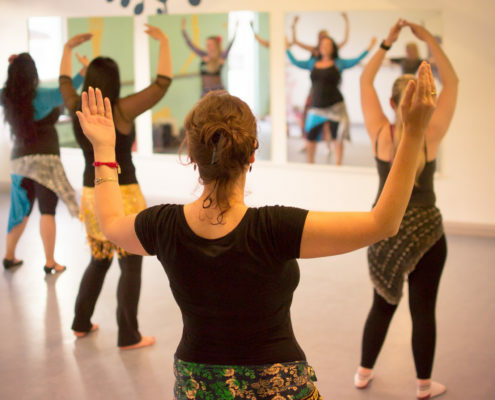 If you are generally fit, then it’s perfectly safe for you to come to bellydance classes. Indeed, bellydance has a reputation for being really helpful in pregnancy and childbirth and Chloe herself danced right through her own pregnancies. However, if you are more than six months pregnant then it’s not advisable to start a completely new form of exercise. In addition, as you get closer to term, your ligaments will start to become softer and more stretchy in preparation for childbirth, so you have to be far more careful as you get closer to your due date. Most importantly, let Chloe know that you are pregnant so she can advise you and give you modifications if necessary. I’ve got a bad back. Is it OK for me to come to class? Bellydancing is a very safe form of exercise which has the reputation for helping back problems. However, the movements of the spine can occasionally aggravate certain conditions. So talk to your back specialist if you have one and always check with your doctor if you have any medical problems to check that it is safe for you to exercise. And do let your teacher know if there is any medical condition she should be aware of and if you suffer from any joint problems. What are the benefits of bellydancing? Bellydancing is great for your figure and it’s a really enjoyable way to get fit. But the women who come to our classes get so much more than that. They find it improves their self-esteem, lifts their spirits, they make new friends and they learn so much more than just how to dance. It’s a continuous learning process too. Unlike some forms of exercise, you never get bored with a bellydancing class! But don’t just take our word for it! See what our students have to say about bellydancing in the next column! I can’t imagine my life without bellydance! 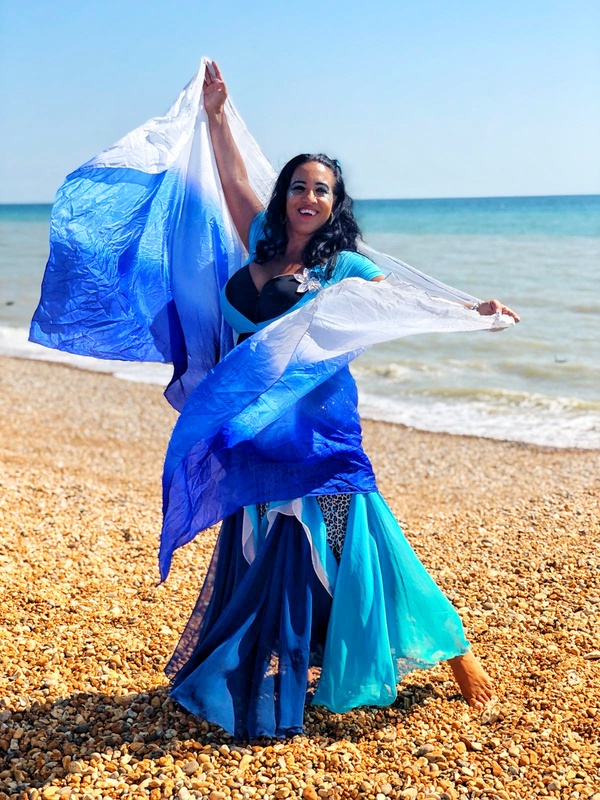 International belly dance teacher Chloe packs her classes and performances with personality, cheekiness, and plenty of charisma. 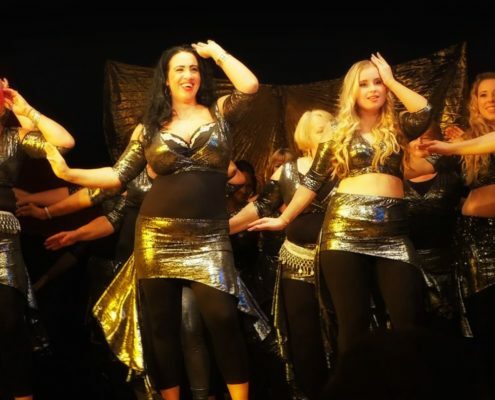 Attending a class with Chloe will not only introduce you to Egyptian belly dance but also build both your dance and body confidence. Students and dance colleagues describe her teaching style as enthusiastic, engaging, inspiring and packed full of fun and sparkle. She is a dynamic choreographer and performer who effortlessly expresses her love for the dance and never stops smiling – which in turn leaves all who attend Chloe’s classes full of joy. 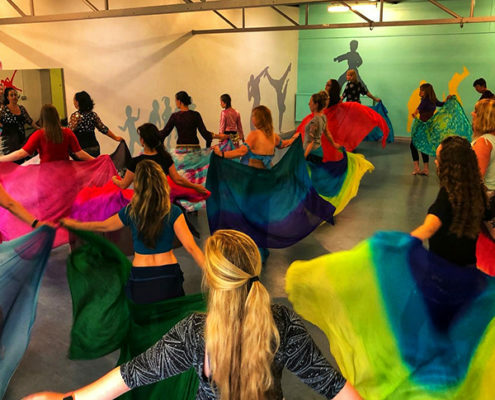 Classes include a mixture of technique drills, fun routines and dancing with props such as veils and sticks. 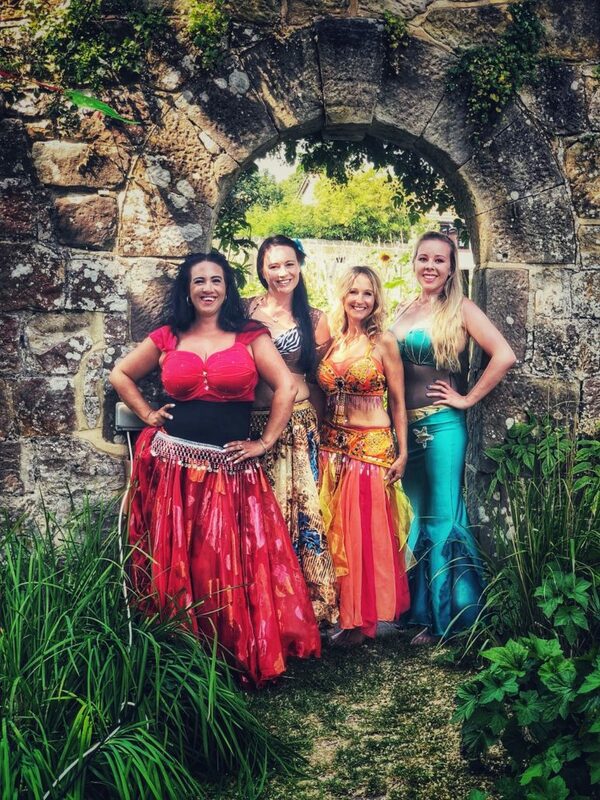 One of the things Students often say about Chloe’s classes is they love the variety in her teaching, covering different styles of belly dance including dreamy vintage, modern shaabi & classic oriental to name a few. 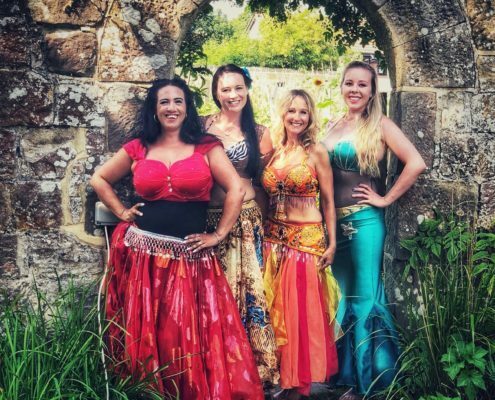 Chloe’s classes also have a social side too, so you can make new friends and spend time with your shimmy sisters at the events Chloe organizes including harem days, restaurant nights, Bellytastic an annual dance show, workshops and Shimmy by the Sea – her very popular dance residential bellydance weekend. Follow this link for more info about Shimmy by the Sea. Email charlotte@hipsinc.com for more info.